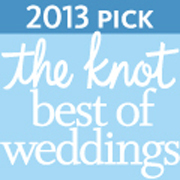 ​The hours leading up to your wedding ceremony are perhaps some of the most magical for a bride and groom. As sought-after wedding photographer in Denver, Tony knows what it means to capture every moment of your special day, including the anticipation leading up to the main event. If you’re looking for a wedding photographer in Denver—or anywhere—who will capture the moments that you don’t want to forget, you’re looking for Tony Gallagher.